Lakas finds a group of tap-dancing, drum-beating, karaoke-singing new friends whose home, the Makibaka Hotel, is about to be sold in a rapidly gentrifying neighborhood. With nowhere to go, their rollicking protest against eviction becomes a clarion call to the community, but can it save the Makibaka? 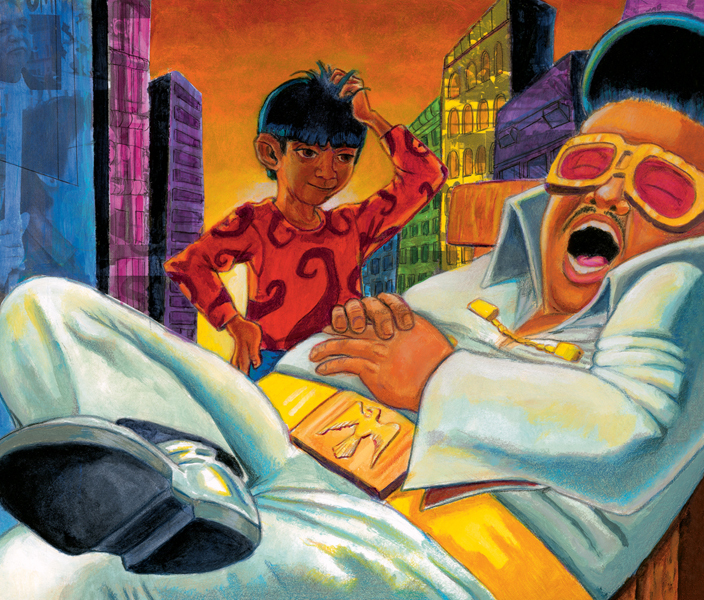 School Library Journal – “Inspired by the resistance by the residents of the Trinity Plaza Apartments in San Francisco, author and activist Robles has created a memorable story, supported by Angel's vibrant, hopeful art." Kirkus Reviews – “The vivid paintings have a cartoon quality that punches off the page." San Francisco Chronicle– “This is a fun, engaging tale, enhanced by Carl Angel's colorful illustrations, that takes on sad and serious problems in the city: homelessness and tenants' rights." Papertigers.org — “Carl Angel's illustrations perfectly capture the characters' voice and indomitable spirit. The bold and invigorating colors give shape and personality to the lively characters Lakas encounters."